Courtesy of Five Star Real Estate (Casc), Peter Faber. 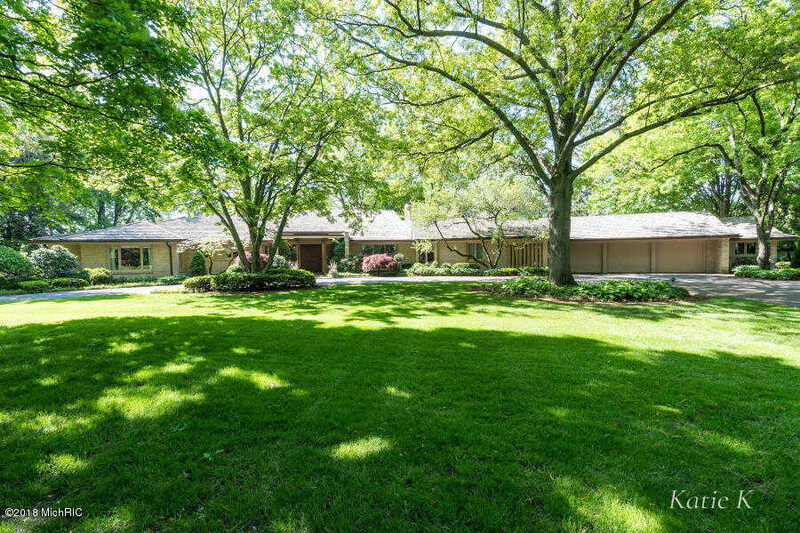 Mid-Century Contemporary home overlooking Fisk Lake with private estate setting. 2 + acres over looking the lake, modern interior open floor plan with expansive views. Large welcoming foyer, living room, dining room, great room with fireplace and porch – all with Lake Views. Kitchen, eating area, large back entry with laundry room and bath. Master suite and two more private suites each with their own bath. Over 4,500 sq ft on main floor. Lower level has family room, exercise room, and hobby room. Priced thousands below recent appraisal and SEV. Seller is a licensed realtor in the state of Michigan.